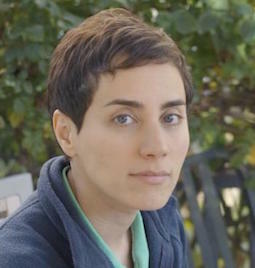 Maryam Mirzakhani received her PhD from Harvard University in 2004 under the supervision of Curtis T. McMullen. In her thesis she showed how to compute the Weil-Petersson volume of the moduli space of bordered Riemann surfaces. Her research interests include Teichmüller theory, hyperbolic geometry, ergodic theory and symplectic geometry. Maryam was appointed as a Clay Research Fellow for a term of four years beginning July 2004.